Twin pedestal table bases in a durable powder coated finish for use with rectangular table tops. Suitable for use with tops up to a maximum size of 1400mm x 800mm. Available from stock. 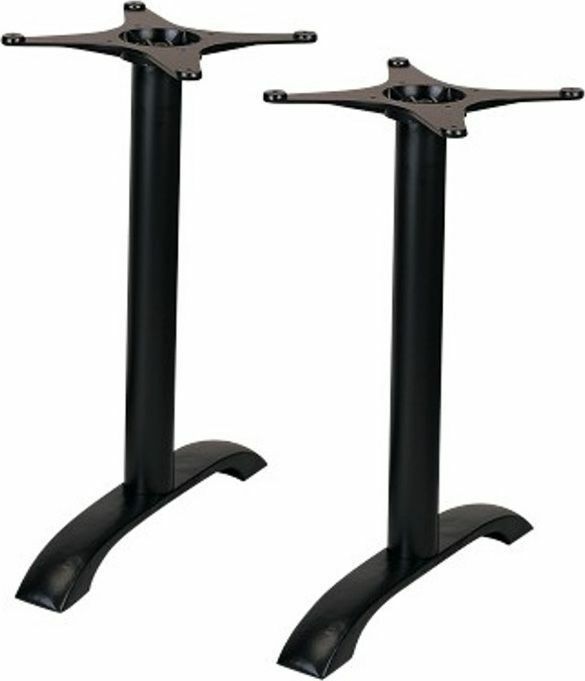 Super strength value table base, this is a twin base for use with a rectangular shape cafe table top. The maximum table size for this base is 1400mm x 800mm. This item can be delivered from stock with a short lead time of 3-5 working days from order.